"If you had to describe yourself to people how would you describe yourself?" Reporter Katie LaGrone asked Mikah Sweet. "Focused, pretty goofy, outgoing, fun," Sweet said during an interview last month. Back in May, the 20-year old cook and manager-in-training was caught smoking pot in his car with a friend. "I was like oh crap! There's no way out of this. I was looking around saying how am I going to figure this out," he said. At the time, Sweet had no criminal history. "He put cuffs on us and detained us while he searched our car," explained Sweet. Over the past few years, 16 Florida cities and counties have adopted softer new rules on possession of marijuana, less than 20 grams. But numbers we obtained show your chance of going to jail or paying just a civil fine really depends on which law enforcement agency catches you with it. Check out who's issuing civil tickets and who's still going criminal with pot on the state map below. Pot citations in FL: To cite or not to cite? 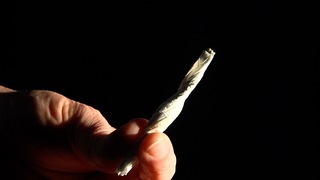 In Miami-Dade, police issued nearly 5,000 civil citations last year to people caught with small amounts of marijuana. Tampa PD issued over 1100. But work your way around the state and we found 37.5% of agencies with the option to issue a marijuana citation, haven't written a single ticket. 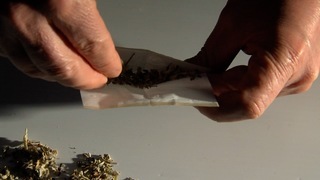 Port Richey police claims it doesn't have a pot problem. While Palm Beach County's sheriff has a big problem with softening the penalties for pot. Sheriff Ric Bradshaw has ordered his deputies to keep it criminal even though Palm Beach County commissioners approved a citation ordinance at the end of 2015. 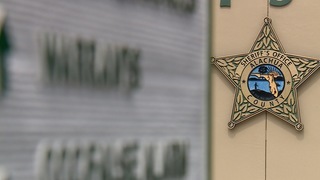 "PBSO is following the state law" wrote an agency spokesperson. In Alachua County, commissioners were quick to pass an ordinance allowing for citations last year, but has yet to come up with a system to make it work. "They rushed this to ordinance without an infrastructure so itís just sitting there with no usability for anybody," said Alachua County Sheriffís spokesman Art Forgey. "So what good is it?" asked reporter Katie LaGrone. "Right now, itís no good at all. It looks good on paper and looks good to talk about and commissioners have touted their horn on it but it's really useless," he explained. 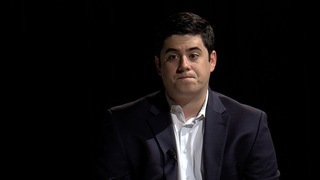 Raymond Maguire IV of the American Civil Liberties Union (ACLU) supports decriminalizing marijuana in Florida and giving a second chance to first time offenders. "If they stop using time and resources on marijuana possession, they can focus those time and resources on more serious crimes," he said. "Some law enforcement still have the outdated belief that we need to treat marijuana like a gateway drug which it is not." We asked Maguire to review the numbers that show since mid-2015, roughly 6500 marijuana citations were issued in Florida. "Unfortunately, they disappoint me but they do not surprise me," responded Maguire. While, during the same time frame, we found more than 44,000 people were arrested in Florida. Their only crime at the time, possessing less than 20 grams of marijuana. Mikah Sweet's clean criminal history will stay that way. His run-in with Tampa police over pot resulted in a $75 citation and no criminal charges. "It's just a citation. Way better than an arrest or criminal charge, I'm thankful for that,' he said. Civil citations for marijuana can run anywhere from $75 to 100 bucks.